Growing Silence ⋈ Silence as an instrument of experience. the Milena principle and Silence. 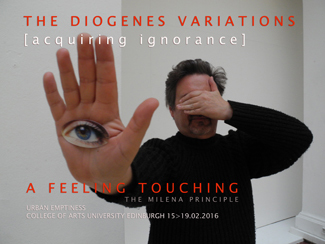 Members of the Milena principle already are working for years with the theme of "silence". 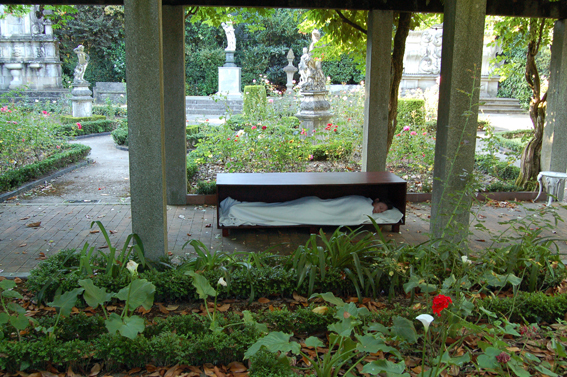 In 1993 visual artist Stefaan van Biesen realised a silence project in an urban context in his homeland: "Deafening, Silence" or 'Approaching silence' 2010. the MIlena priciple is making a connection with silence artist: they are a source of inspiration. Like for example: Joseph Beuys, James Lee Byars, or the Spanish artist Tres Silencio. 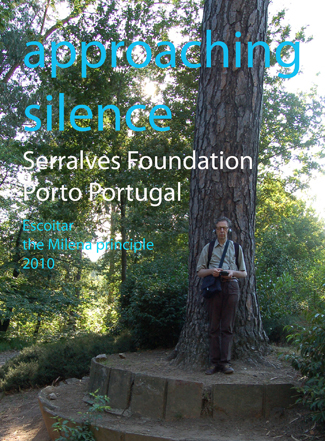 the Milena principle and Escoitar.org [Spain 2006-2016] work together as a collective of sound artists, visual artists, anthropologists, musicologists and developers on projects focused on sound, auditive memory and the ethical concerns of cultural action. They use open source technologies as a key concept for social activation. They realize interactive sound maps, sound walks, sound installations, performances, connecting visual arts with sound art and other activities linked with the preservation of sound memory, the acknowledgment of intangible cultural heritage, the encouragement of listeners’ involvement in the composition of the sound heritage. 'Fading in to Silence | Urban Tea Ritual' with the performance 'Unisono' as a silent prologue by Geert Vermeire and Stefaan Van Biesen, artists / the Milena Pri...nciple, is one the common actions, which will take place on Wednesday 17th February 2016, at G.06, 50 George Square. Collaborators: Dr Michelle Bastian (Edinburgh) Stefaan van Biesen (Antwerp) Guy de Bievre (Brussels) Dr Sinan Bokesoy (Istanbul) Dr Nikos Bubaris (Mytilene) Dr Dimitris Charitos (Athens) Dr Anastasia Georgaki (Athens) Sofia Grigoriadou (Athens) Professor Panos Kouros (Patras) Marielys Melendez (Athens / Puerto Rico) Dana Papachristou (Athens / Paris) Professor Georgios Parmenidis (Athens) Dr. Patrick Primavesi (Leipzig) Dr Nikolas Remy (Volos) Giorgos Samantas (Athens) Dr Ana Sanchez-Colberg (Athens) Katerina Taliani (Edinburgh) Elli Vassalou (Brussels) Dr Simona Vermeire (Brussels) Dr Alexander Voutsas (Athens) Thanos Vovolis (Athens) . Our travels are silent, our actions barely noticed, but they appear in a gesture of embracing what we find and let go, walking together with friends and strangers in a feeling touching, we are becoming the cities we pass by. [Sea Born performance] ⋈ Giudecca Venice 2015. [Unfolding the City] Campo San Pantalon ⋈ Venice Italy 2015. 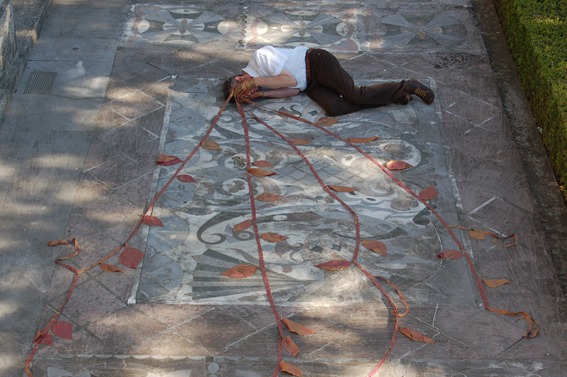 During the 'Sea Born' project of the Milena principle [Venice 2015], Geert Vermeire made a writing performance on Campo San Pantalon. Camera & video by Stefaan van Biesen. Third video in the ongoing series of performances, video´s and soundscapes for "Invisible Cities" in Athens (Italian Cultural Institute Athens / Athens University) and "Utopia" (Cities and Memories project, Oxford). Video "Unfolding the city" by the Milena principle, Geert Vermeire & Stefaan van Biesen, Venice September 2015. Geert Vermeire and Stefaan van Biesen made field recordings in Venice and later in Antwerp. They used this digital material to make a soundscape 'Hythlodaeus 2015' for the Utopia sound project of Cities and Memory. The theme was the map of Utopia made by Ambrosius Holbein in 1518. 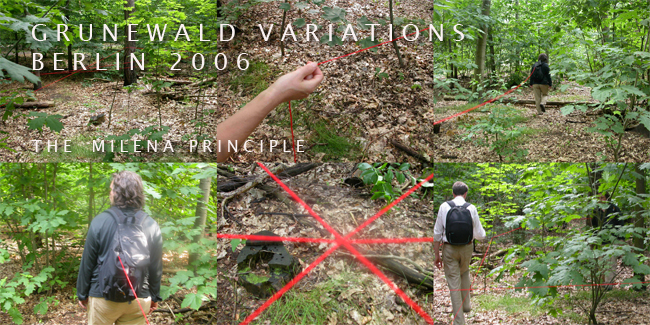 A part of this soundscape is included in the video. Invisible Cities / Αόρατες Πόλεις, coordinated by Maria Saridaki and Maria Vasileiou, organized by Istituto Italiano di Cultura di Atene and University of Athens, Department of Communication and Media Studies. [On The Surface] silent writing Campo San Pantalon ⋈ Venice Italy 2015. 'On The Surface' the Milena principle. A silent performance by Geert Vermeire, writing a poem on the surface of the water of Venice. Location Campo San Pantalon, in the centre of the old city. 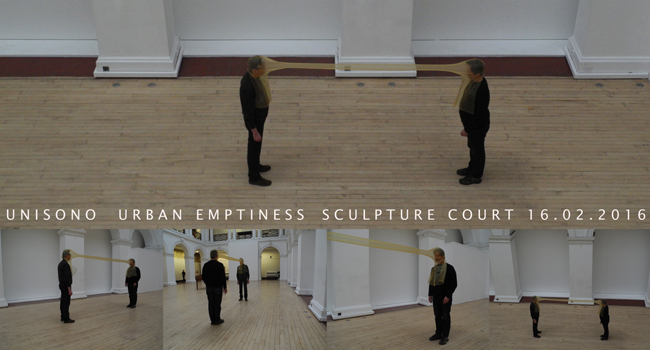 This performance was shown during the 'Invisble Cities' project in Athens Greece later that year. Camera by Stefaan van Biesen. [Growing Silence] Silence Project at Goethe Institute Athens Greece 2011.
the Milena principle proposed a silent intervention, 'Liquid Islands' [washing the feet of strangers], in the old Renaissance city surrounded by sea. Myriam Bosschem [Belgium], accepted and asked several people, who passed by, if she could wash their feet as an urban gesture of caring and making connection. Starting in the early morning at Campo San Margherita, asking people to participate, finaly she found a traveling couple form Norway who accepted the offer: Jette KJ Øigard and her husband Bjarne Bjerkeland. The final location, where this unannounced event took place, was Campo San Zaccaria near San Marco, an old square where many people pass by. This urban ritual took place in the evening near an old waterfountain. People stopped and wondered. [Approaching Silence] Escoitar. org & the Milena principle Porto Portugal 2010. [How long is now?] Braga ⋈ Porto Portugal. [Mirror Man] Silence Performance [Calle dei Amici] Venice Italy 2005. During the visit to the Biennale of Venice 2005, the Milena stayed in Casa Querini, an old renaissance building near the San Marco basilica. 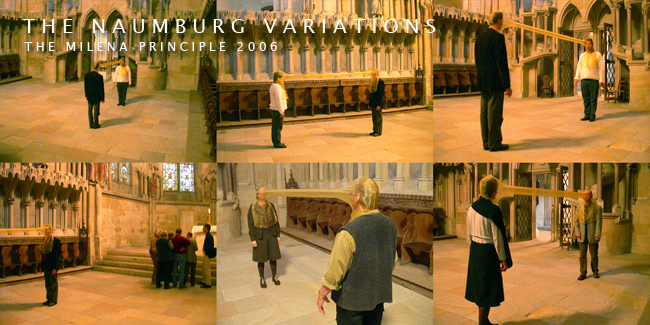 During this visit, several silence performances which had been planned in advance took place and were partly photographed and filmed. There was also an evening lecture on 'the bridge of encounters'. A nocturnal walk brought everybody together in the 'Calle dei Amici', a place which the Venetians call a magic place, a symbol of timeless friendship. Geert Vermeire brought a number of silent writing performances such as 'Bridge writer' on the Magdalena bridge, 'Writing in water' in the rising water of the Campo San Giorgio D. Greci and the northern Venetian channels of Cannaregio. [Bridge Writer] Silence Performance [Calle dei Amici] Venice Italy 2005. [Sleeper I] About Melancholy Drongen Belgium 2004.